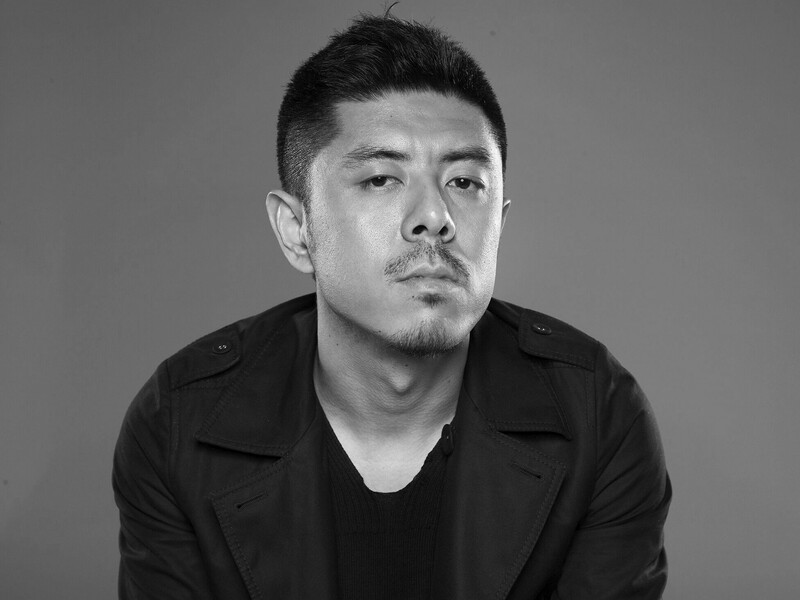 Beijing-born architect Ma Yansong is recognized as an important voice in the new generation of architects. He is the first Chinese architect to win an overseas landmark-building project. 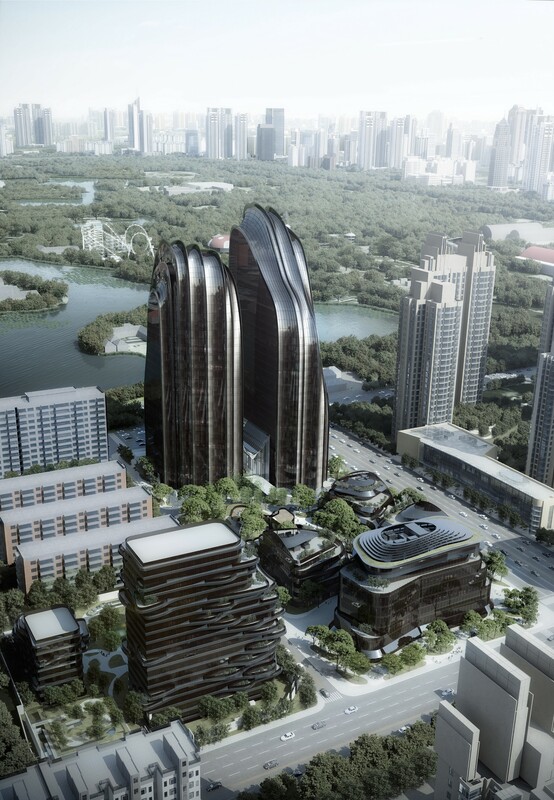 As the Founder and Principal of MAD Architects, Ma leads design across various scales. 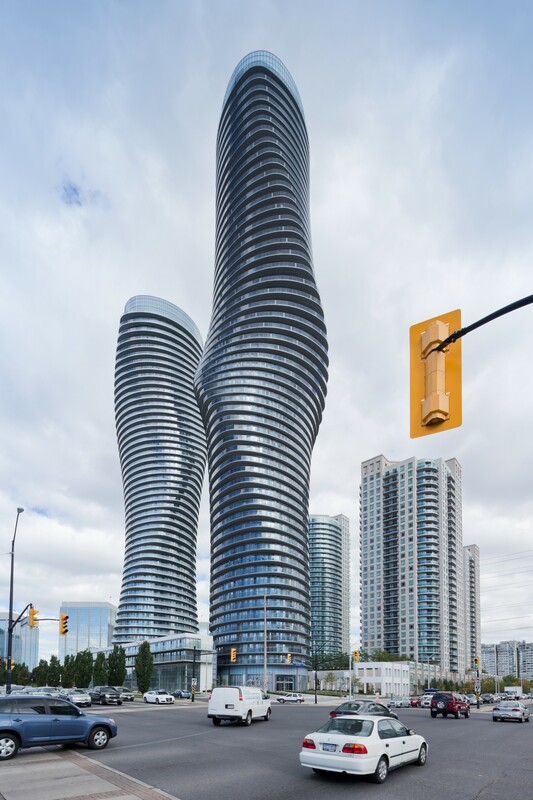 In recent years, many of Ma’s designs follow his conception of the “Shanshui City”, which is his vision to create a new balance among society, the city and the environment through new forms of architecture. Since designing the “Floating Island” in 2002, Ma has been exploring this idea through an international practice. 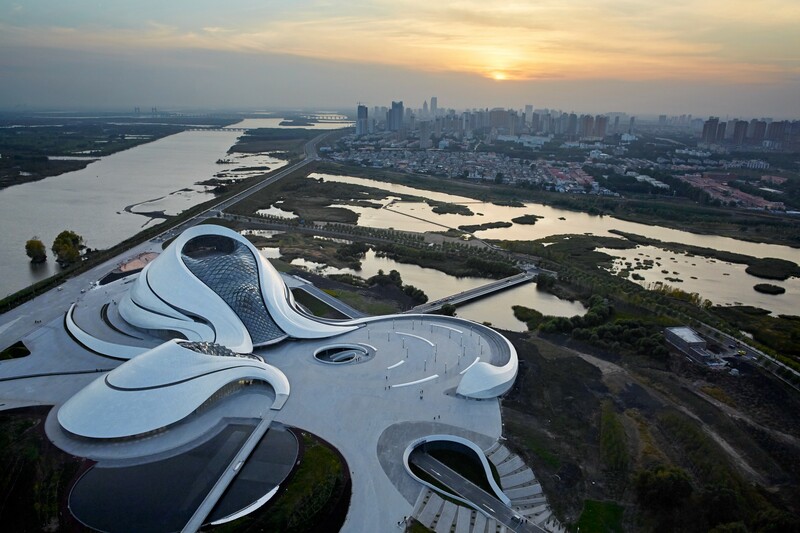 In 2014, Ma was selected as the principal designer for Lucas Museum of Narrative Art in Chicago, which made him the first Chinese architect to design overseas culture landmark. Parallel to his design practice, he has also been exploring with the public the cultural values of cities and architecture through domestic and international solo exhibitions, publications and art works. Modelo spent some time learning about Ma’s design philosophy, journey through the profession and starting his own firm. In the beginning, I wanted to become a filmmaker. When I applied to the film program, a professor at my school alternatively recommended that I study architecture, so I went into architecture instead of studying film. Early on, I looked at many images from my generation. I read stories and was interested in the idea of narrative storytelling. When I started university, I didn’t know much about architecture so I flipped through a lot of magazines, looking at different and exciting images from all over the world. I thought that architecture could be interesting. It was clear that various people were doing different things during those times and it seemed there was no clear answer to what was right or wrong in architecture. Ultimately, the artistic part of architecture has always interested me. I went to London and worked with Zaha Hadid on competitions in China. She was also my professor in school. After one year, I decided to do competitions on my own. I discovered many challenges and problems in my hometown and in that moment I decided to start my own firm. From the beginning I thought of architecture as a form of art and culture — this was one of reasons why I worked with Zaha Hadid because she introduced me to contemporary art. Early in my career, I tried to bring an artistic feeling to architecture. That’s really the intent and impression of what I think about: context, space, shapes, and landscape. Now, our practice is almost twelve years old, and we’ve since discovered our design philosophy is about connecting to the landscape and nature with architecture. We call this “Shanshui City,” after the classical Chinese aesthetics. It’s also a nod to Chinese scientist Qian Xuesen, who first suggested this notion of a “Shanshui” city. It’s something that goes against modern architecture and it challenges the utility of modernism, which is now a mainstream idea. We want to connect architecture to nature and create very emotional and spiritual spaces for everyday life. I’m in charge of design, and MAD remains focused on who we are as we continue to grow globally. I consider myself very sensitive to art and culture, and I want to make architecture connected to emotions and feelings. That never changes. We just completed the Harbin Opera House last fall in China. We had been working on that project for the past six years. In the beginning, we wanted to blend the architecture into the surrounding landscape of Harbin, which is a very unique place and climate. We treated the architecture as part of the wetlands. It’s a place that the public can enjoy, from ice-fishermen to ticket holders, because everyone has access to nature and parks surrounding the opera house. Recently, we have started several new projects outside of China. Right now we have a residential, mixed-use project in Beverly Hills, California that is currently under construction. This project also considers the local context in its architectural form. It looks like a village on a hill, and at the center is a garden courtyard for the residents. 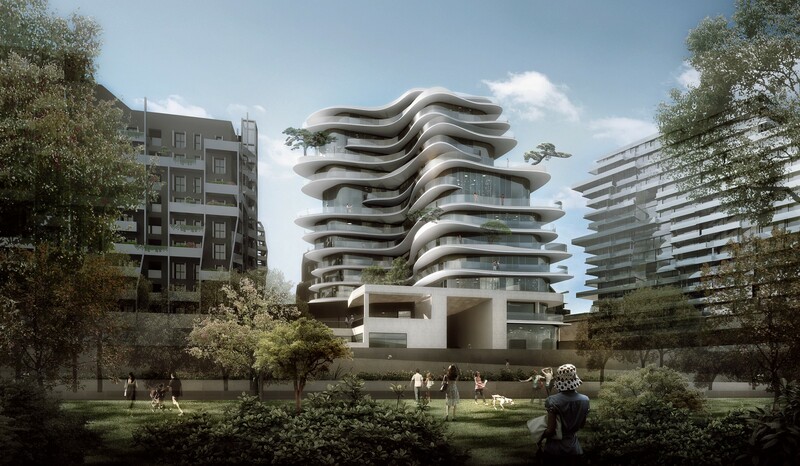 We also just started construction on another residential project in Paris, called UNIC, which faces Martin Luther King Park and is part of a large masterplan in the 17th arrondissement. When we designed UNIC, we worked very closely with the local government and neighborhood to understand the context and the site. The project shares a podium with a social-housing building, which means we wanted UNIC to be subtle in its design, its materials and shared spaces. The podium contains a new metro stop along with a kindergarten, amenities that are not solely exclusive to UNIC, but also to the community. Each floor plate in this project is slightly different and these differences create spaces that feel more organic, more natural. We’re also going to finish several high rise buildings this year and early next year, such as Chaoyang Park Plaza and Nanjing Zendai Himalayas Center. Both projects are urban, mixed-use complexes that capture our Shanshui City philosophy and challenge the concept of typical, modern developments. In terms of process, I still sketch a lot. I think that’s an effective way to express my feelings. Somehow, I try to make the transformation from my brain, and my feelings, to the physical space more directly. I see buildings as space, and there has to be a human feeling tied to that space — it should be very emotional. Sketching is very important, but we also use all the same software that other offices are using these days. We mainly use software because I want the construction to be more accurate and more honest to what I sketch. I don’t use tools to create things, but I use them to realize things. Architecture should be more relaxed. It should be more about human life. If we’re talking about larger issues, architecture talks too much about capitalism, power, and technology. Everything can control our world. Humans create things and then are disappointed with them. We should trust our own feelings and emotions more. We should make them a priority. Imagine somebody wants to create a city in the first place, they imagine these three things: capitalism, power, and technology. The imagination, the dream, and all their beautiful qualities should be prioritized. We should never sacrifice them. If we imagine a better environment, it must be very beautiful, natural, and human. I think architecture will eventually go in this direction. The younger generation is already realizing it! They’re more demanding of humanity and democracy. In my recent book, Shanshui City, I expressed that in the past, architecture was historically concerned with religion. In modern times, architecture has been about capitalism and power. The future of architecture should then be about humans and nature. I hope it’s somewhat less professional. You see so many specialists and they don’t understand each other. It’s hard for them to understand the rare beauty in the world, it’s not about individual principles. For example, if we go to a classic garden, we are influenced and find inspiration. There’s a strong cultural philosophy understood by all about nature, and the thought put into the garden’s creation and realization. Today, we’re not building truly cultural venues and we’re not building things that can connect to people’s emotions, because every profession is treated as a skill and tasked specifically on a project. In education, it’s too clear what one professional can do. In the future, this distinction should be more blurred, it should be about a cross-disciplinary approach that is open to other fields. Everyone in architecture knows that it’s about people and experience. I see the Shanshui City book as a manifesto on architecture and a guide for the next chapter of MAD. Architects should consider a new ideal for a city of the future. We should gradually construct an urban environment that retains the convenience of the modern city, yet demonstrates an affinity for nature. This design ethos will continue to be present in my work. Also, these days, I’ve been thinking more about making movies — mostly because they have a fantasy element and can tell a story. This narrative quality could potentially affect our physical reality and how people think or behave in everyday life. Architecture does similar things as films, in that architects imagine an ideal world, and then turn that vision into a reality people can experience and interact with architecture or understand space in a new way. We have a lot of discussions and debates with cultural figures on the future of architecture in this context. I believe that’s our plan, to make architecture part of the larger culture, accessible for everyone. I always give one suggestion: trust yourself — or rather, be yourself. The experience is something you can never escape from and you have to go through every step to discover that for yourself. This post was previously published on blog.modelo.io on 8/1/16.